SFC 407 is ideally suitable for all sorts of loads and applications for any season and geography. 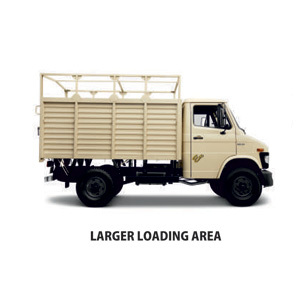 India’s first LCV, it was introduced in 1986 and is still the highest selling LCV in the country. 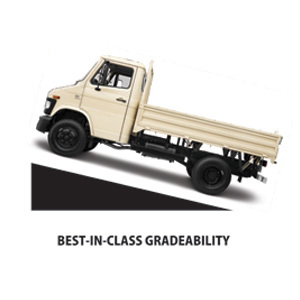 With its trademark SFC face and reliable aggregates, you are assured of a safe and comfortable ride every time. SAFE & COMFORTABLE : We understand that driving commercial vehicles is a serious business. For special applications where, often speed is for the essence, the customer needs to know that he will be safe at all times. 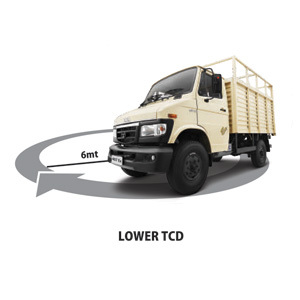 The unique ‘nose’ of the SFC 407 gives confidence, safety and security to the person behind the wheels. Tata Motors is the only manufacturer in the country actively selling SFC face vehicles in the Light Commercial Vehicle segment. At Tata Motors we believe that safely is our number one priority. Clutch Single plate dry friction type- 280 mm dia. Frame Ladder type frame with riveted/bolted cross members.